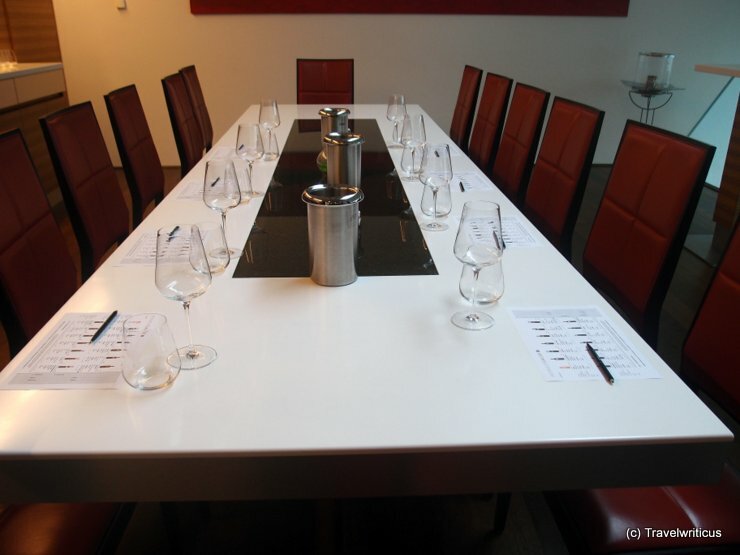 Following a guided tour through Weingut Gager, a winery in Deutschkreutz, I joined a tasting in the salesroom of the winery. 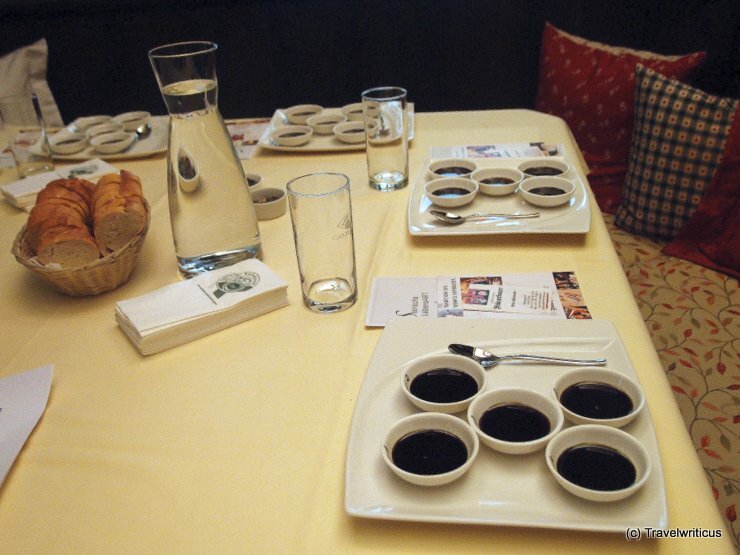 After having several tastings in old vaults it was a pleasant variation to sit at a modern table in a stylish room. The Genussmeile is an event which takes place every fall in the Thermenregion Wienerwald, an area south of Vienna. 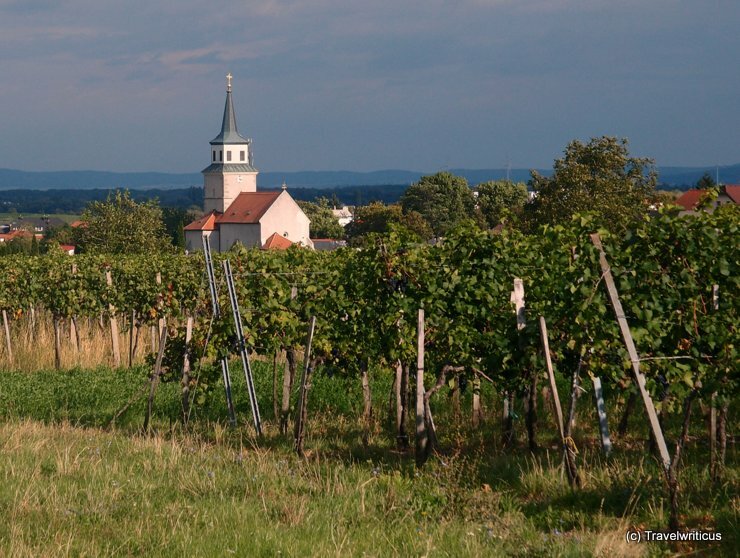 On that event one can walk along a wining and dining trail right in the vineyards between Mödling and Bad Vöslau. 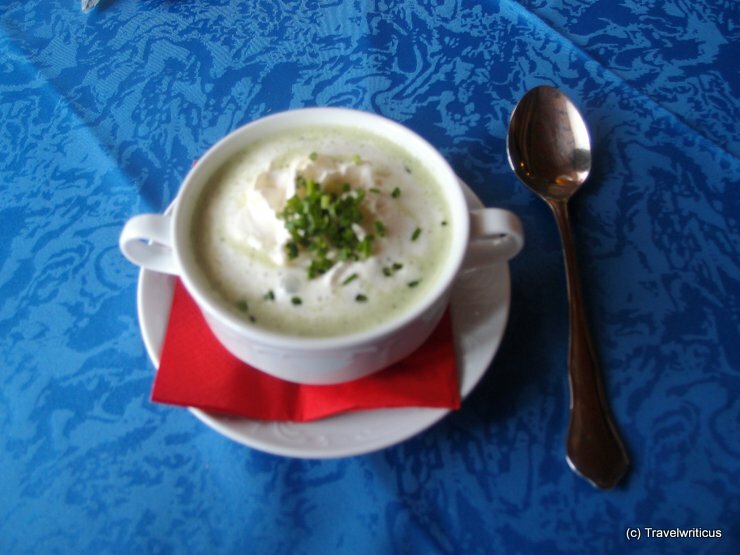 After walking through the gorge of the Mendlingtal I ordered at the Hammerherrenhaus a “Beuschel” for lunch. 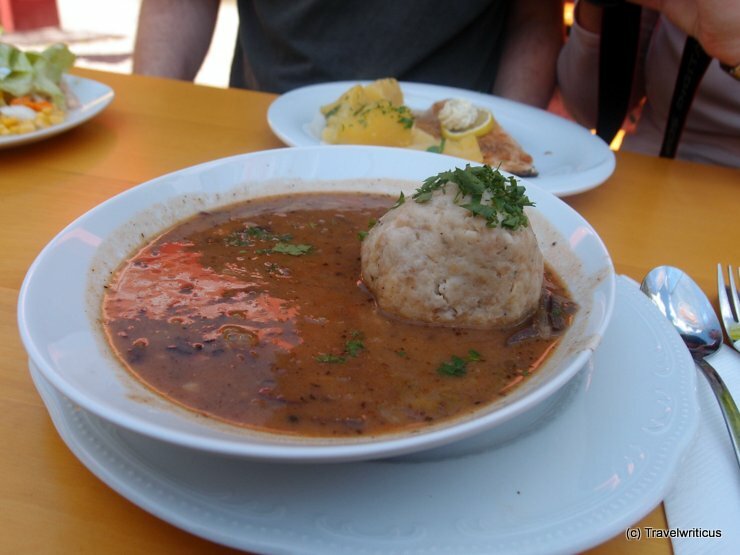 This is a traditional meal especially in Vienna, but one gets it in other parts of Austria too. 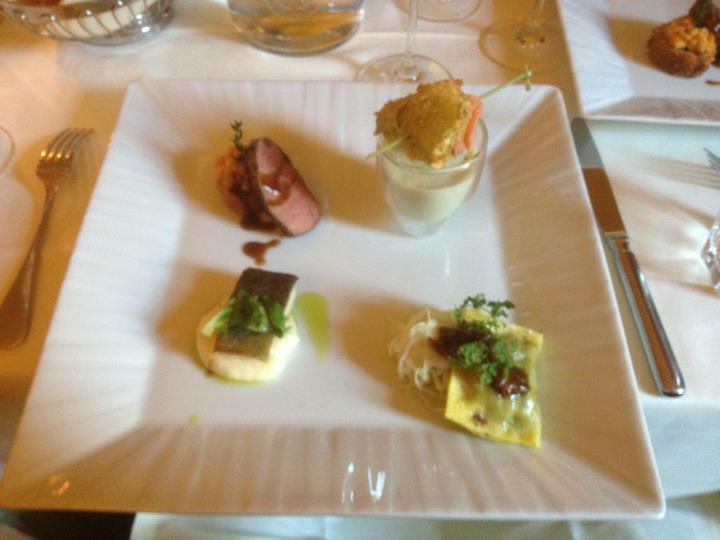 Generally it includes the lungs and the heart of a calf served with a bread dumpling. There are variations with other plucks too. 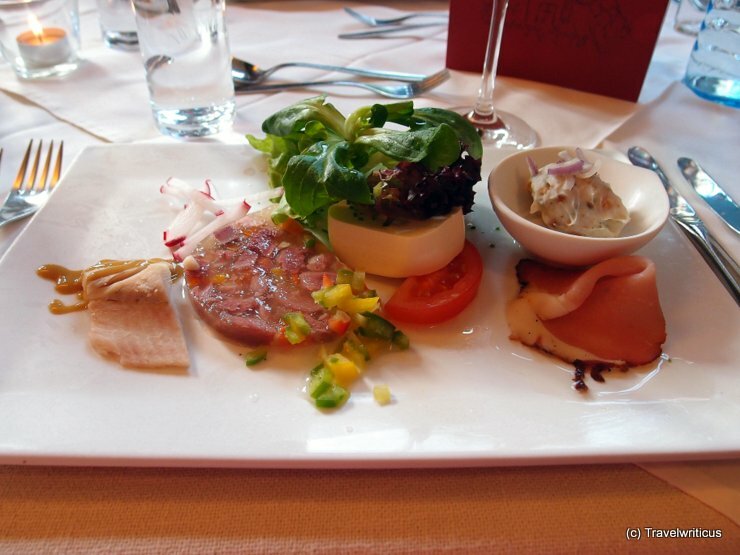 A compilation of starters which are common in the Austrian region Mostviertel (from left to right): Räucherforelle (smoked trout), Sulz (cured meat in gelatine), Schafkäse (sheep milk cheese), Grammelschmalz (lard with greaves) and Karreespeck (back fat). 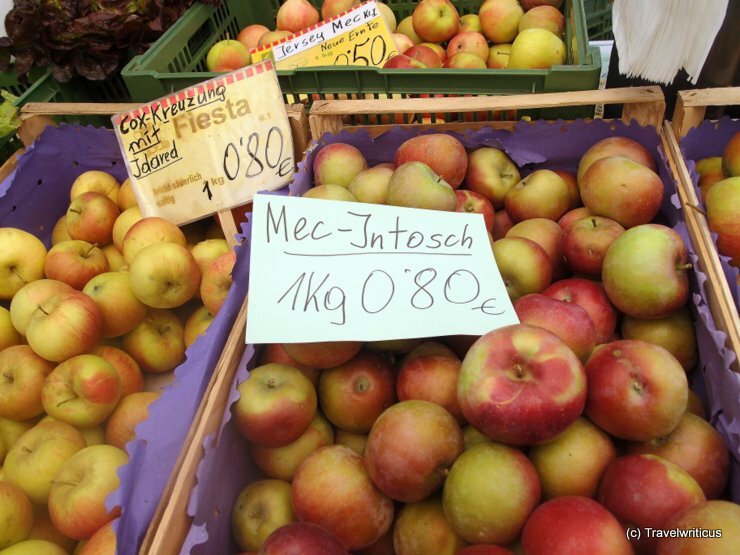 At the Kaiser-Josef-Markt – the oldest farmer market of Graz – I saw this offer for McIntosh apples. Well, the spelling on this label is wrong but the story of these apples is interesting. I was told the famous computer model Apple Macintosh is named after this apple. 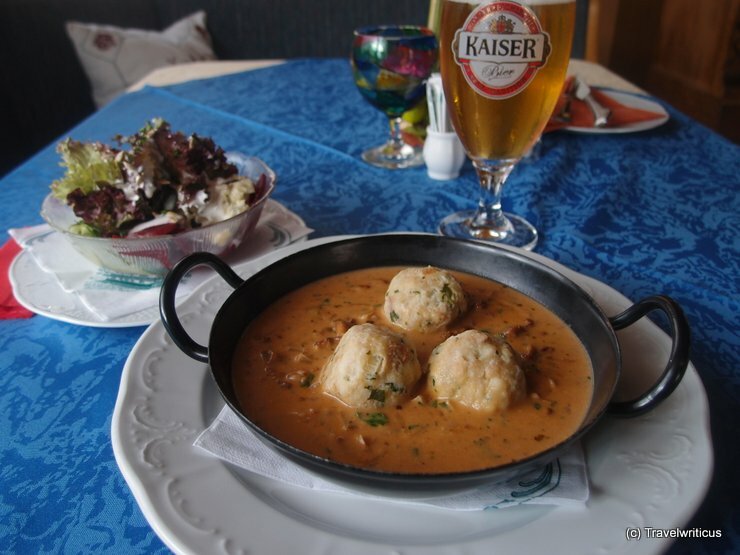 One reason to visit the restaurant of Hotel Klammstein was the ‘Pfandlwoche’. 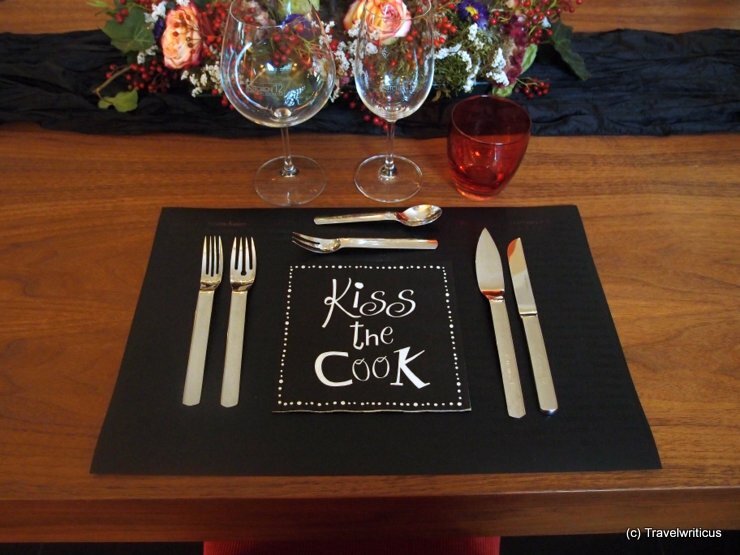 In this period the restaurant offered especially dishes served in pans (‘Pfandl’). I had a pan with mushrooms and dumplings. The owner of the restaurant told me the mushrooms were collected in the woods around the hotel.